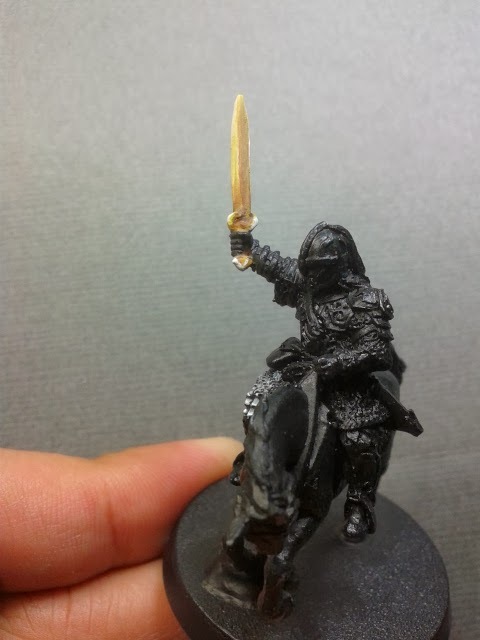 Over the past years, in the effort to 'finish' armies, I speed-painted my way thru my minis. That really was a killjoy and I actually like painting. Well, I have decided that I am in the hobby to enjoy it, not feel guilty about what I have not painted. 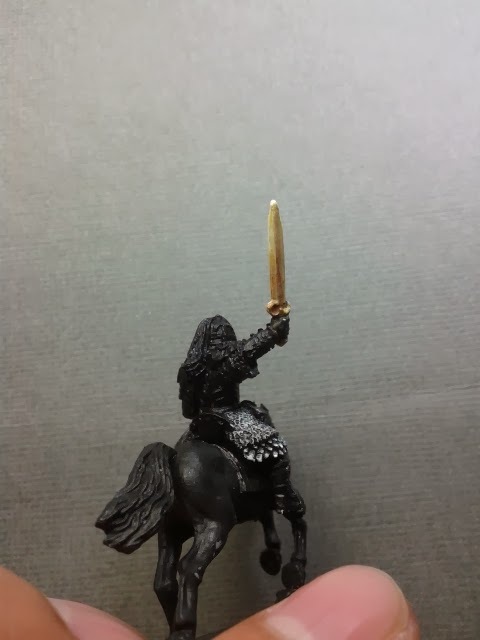 So I have decided that I will be enjoying the process by NOT painting huge armies. I no longer have that kind of time anyway. So I will enjoy the painting process instead. And I will paint what I like and how I like it. So on with the show. 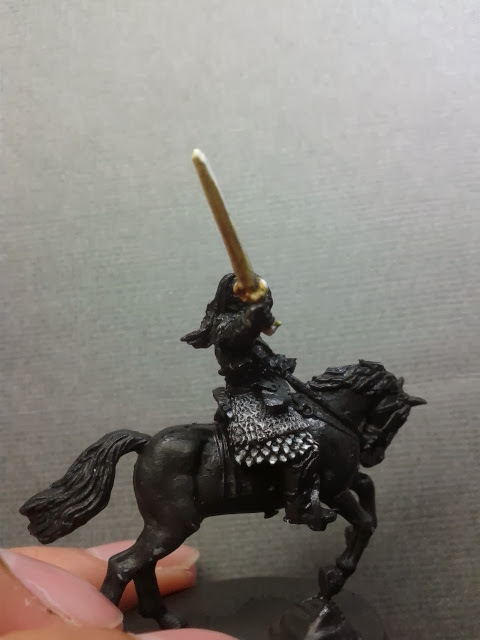 The next model is Eomer on horseback. It is a WIP and test color scheme for the moment.